UTAR won Sin Chew Education Award 2018/2019 in the Outstanding Educational Institution: Private Universities/Colleges category. The award was presented recently at the Sin Chew Education Award Presentation Ceremony, which was held at the Grand Ballroom of Setia City Convention Centre in Shah Alam, Selangor on 25 January 2019. UTAR was among the 13 universities who won the Outstanding Educational Institution: Private Universities/Colleges category. Participated in the category were 34 universities/colleges around Malaysia. The eight qualitative assessments for the Outstanding Educational Institution: Private Universities/Colleges category were general information, programmes related info, academic and support staff, physical resources, student services, employability of graduate, achievements, awards and recognition as well as other important info or achievement. Held for the first time, the Sin Chew Education Award 2018/2019 was organised by Sin Chew Media Corporation Bhd with the objective to recognise the target audiences who provide excellent education so that they can be encouraged to do more for the betterment of the industry while contributing to the overall economic development of the nation. Besides that, it promotes the reputation and image of the target audiences so that they can upgrade and excel further and compete internationally as well as contribute to the overall betterment of education in nation building. 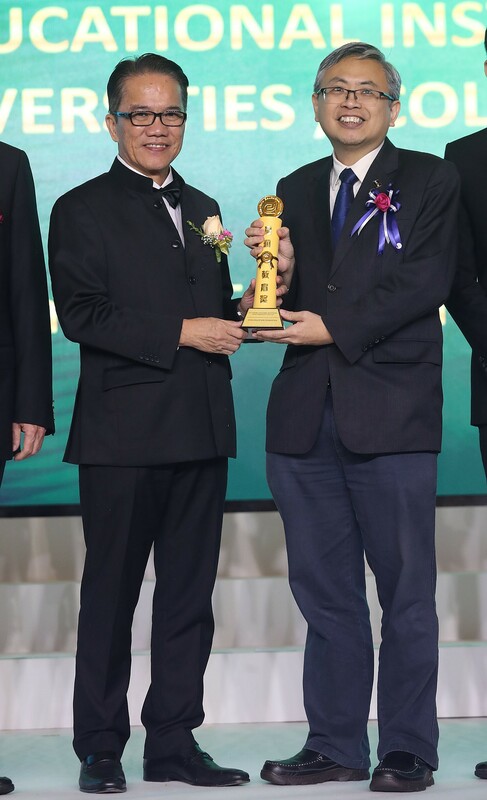 The seven categories of Sin Chew Education Awards 2018/2019 were Lifetime Education Award, Educationist of the Year Award, Education Business Sustainability Award, Product Award, Service Award, CSR Award and Outstanding Educational Institutions. The Outstanding Educational Institutions consist of several sub-categories such as Private universities / colleges, Independent Chinese schools, Professional training centres, Special needs training centres, Vocational training centres, International schools, Early childhood education providers / franchisors, Language centres and Education support service providers.